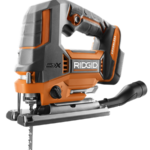 We already knew new Ridgid 18V higher capacities were coming as we already knew about the new hyper octane bluetooth 6.0 and 9.0 ah batteries when they were spotted a while back. 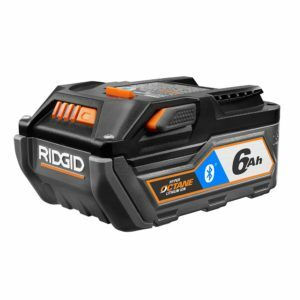 Along the way we also learned that the new batteries would be expected in February 2018 in other parts of the world and thanks to Cody Robertson and Joshua B, they spotted them on the Home Depot website for the very first time and with a retail price of $129. The new 6.0 ah represents a step up from all other Ridgid 18V batteries. The new 6.0 ah also get a new name on them called “Hyper Octane” probably to distinguish them from the rest. 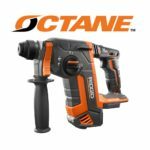 The Hyper Octane batteries also have Bluetooth built in with abilities to set Push Notifications, Security Features, and Battery Status Updates to your smartphone app. These batteries already appear on the HD website although they are not for sale yet. 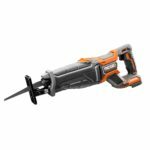 HD has a habit of placing new items on their website and are temporarily unavailable for a short period of time but become available soon after. No word on when the actual availability date will be, but at least we know they will retail for $129. I’d also expect the new 9.0 ah Hyper Octane bluetooth batteries to show up soon as well.